Harrison Ford even makes being an archaeologist look cool and the Funko Pop Indiana Jones series perfectly depicts the franchise hero. The vinyl release offers a few options for the adventurous Jones. 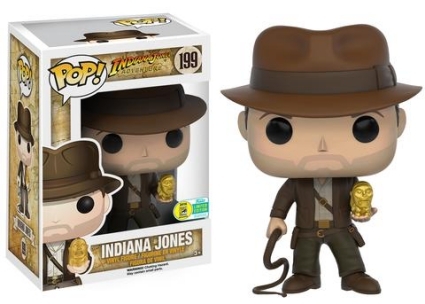 The first Funko Pop Indiana Jones figure is from the 2016 San Diego Comic-Con featuring "Indy" in Raiders of the Lost Ark. With his iconic fedora and leather jacket, Jones grasps a whip while holding the notorious Golden Idol. A Disney Parks exclusive, Indiana Jones stands with his shirt partially unbuttoned and his right sleeve missing. Additionally, the bruises and cuts are visible above his five o’clock shadow as he holds the mysterious stone from The Temple of Doom. 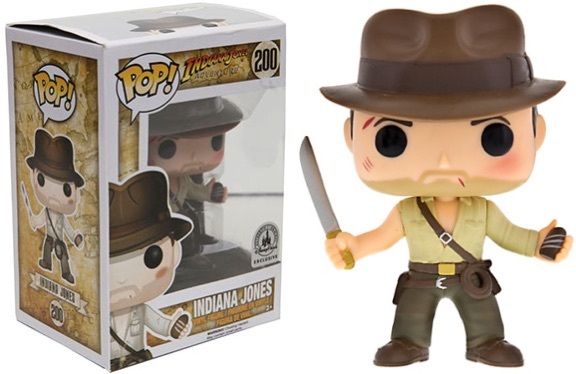 Shop for Funko Indiana Jones Figures on Amazon. While the vinyl figures are numbered as part of the larger Pop! 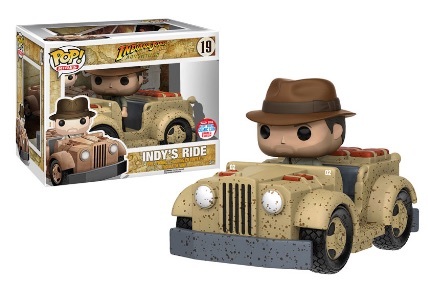 Disney line, the Funko Pop Indiana Jones set also features Indy’s Ride. Originally a Disney Parks exclusive, the Pop! Rides release was later made a 2016 New York Comic Con exclusive. 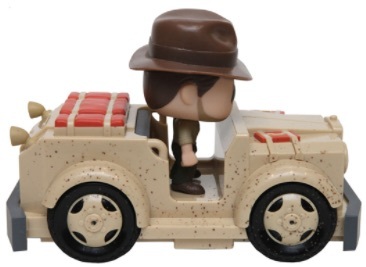 It features a different figure for Jones along with a larger vehicle to hold Indy. Funko Pop INDIANA JONES #200 Temple of Doom - Disney Parks Exclusive. NO BOX!